Becky Holden (@bholden86), our EED math specialist, and I are working on formative assessment using anticipate and monitor, the first two of Smith and Stein’s 5 Practices. While we don’t want a template, we keep using this sketch to plan, think, and share. It’s still a work in progress. We’d love to know what you think. Brian Toth (@btoth4thgrade) shared his learners and time with me so that I could play and work with our students on SMP-6, attend to precision. The following three sketches are the notes and jots of what we anticipate our learners will think and say prior to the start of class. Our purposeful instructional talk set learning goals of I can attend to precision, and I can demonstrate flexibility to show what I know more than one way. From our students, we are looking for complete sentences with strong vocabulary and word choice. We want to see internal motivation to think deeply and a willingness to go past a surface initial answer. We know that we are growing toward constructing viable arguments. From our team, we are collaborating to learn more about our learners, to become more flexible ourselves, and to notice and note details of student answers so that we can design and implement a differentiated action plan across our grade to meet all learners where they are. What if we learn and practice together? How might we grow in confidence, competence, precision, and flexibility? What if we study and practice, together, to embed formative assessment into our daily practice and learning? After the success of the slow-chat book study on Embedding Formative Assessment we plan to engage in another slow chat book study. A few years ago, as we embraced focusing our classrooms on the Standards for Mathematical Practice, a number of our community began reading and using the book by Peg Smith and Mary Kay Stein, 5 Practices for Orchestrating Productive Mathematics Discussions. This book has been transformational to many educators, and there is also a companion book focused on the science classroom, 5 Practices for Orchestrating Task-Based Discussions in Science, by Jennifer Cartier and Margaret S. Smith. Both books are also available in pdf format and NCTM offers them together as a bundle. : As our community works with both math and science educators, we are going to try something unique in reading the books simultaneously and sharing ideas using the same hashtag. We know that reading these books, with the emphasis on classroom practices, will be worth our time. In addition to encouraging those who have not read them, we expect that those who have read them previously will find it beneficial to re-read and share with educators around the world. : For those new to this idea of a “slow chat book study”, we will use Twitter to share our thoughts with each other, using the hashtag #T3Learns. With a slow chat book study you are not required to be online at any set time. Instead, share and respond to others’ thoughts as you can. Great conversations will unfold – just at a slower pace. When you have more to say than 140 characters, we encourage you to link to blog posts, pictures, or other documents. There is no need to sign up for the study – just use your Twitter account and the hashtag #T3Learns when you post your comments. Don’t forget to search for others’ comments using the hashtag #T3Learns. : We have established the following schedule and daily prompts to help with sharing and discussion. This will allow us to wrap up in early June. The content of the Math and Science versions line up fairly well, with the exception of the chapters being off by one. We continue to used the following prompts to spur discussion. But…What if I think I can’t? What if I have no idea what are appropriate tools in the context of what we are learning, much less how to use them strategically? How might we offer a pathway for success? I can communicate details of how the chosen tools added to the solution pathway strategy using descriptive notes, words, pictures, screen shots, etc. I can use tools to make my thinking visible, and I can experiment with enough tools to display confidence when explaining how I am using the selected tools appropriately and effectively. I can recognize when a tool such as a protractor, ruler, tiles, patty paper, spreadsheet, computer algebra system, dynamic geometry software, calculator, graph, table, external resources, etc., will be helpful in making sense of a problem. We still might need some conversation about what it means to use appropriate tools strategically. Is it not enough to use appropriate tools? 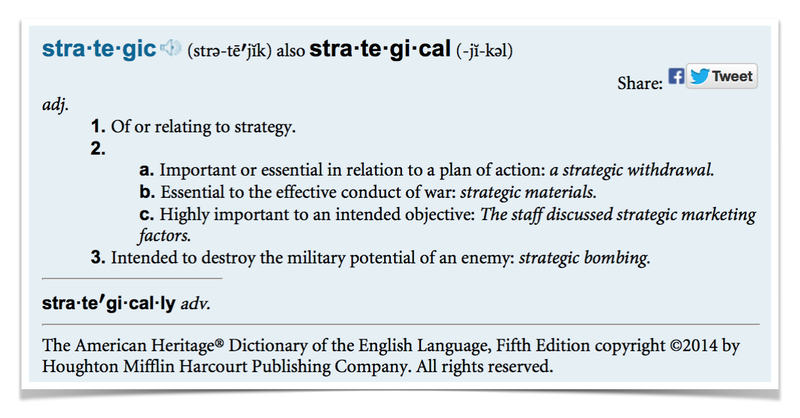 Would it help to find a common definition of strategically to use as we learn? And, is use appropriate tools strategically a personal choice or a predefined one? How might we expand our toolkit and experiment with enough tools to display confidence when explaining why the selected tools are appropriate and effective for the solution pathway used? What if we practice with enough tools that we make strategic – highly important and essential to the solution pathway – choices? What if apply we 5 Practices for Orchestrating Productive Mathematics Discussions to learn with and from the learners in our community? 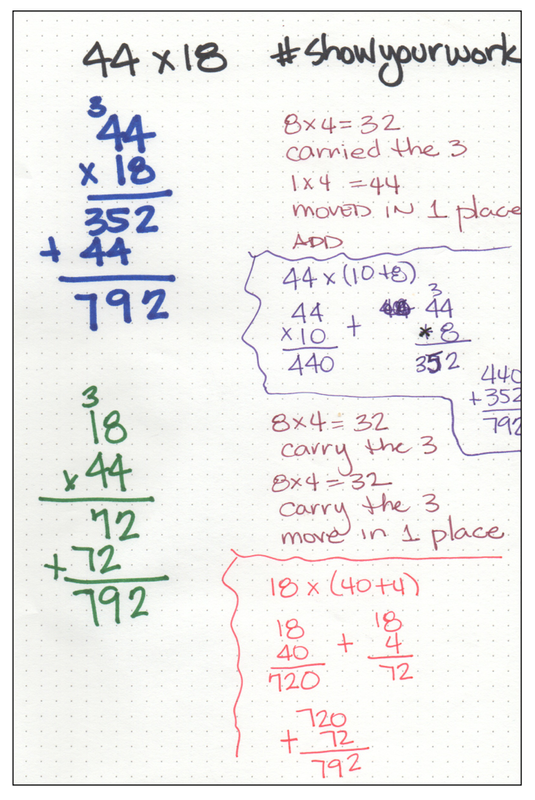 What if we extend the idea of interacting with numbers flexibly to interacting with appropriate tools flexibly? How many ways and with how many tools can we learn and visualize the following essential learning? What tools might be used to learn and master the above standard? How might learners use algebra tiles strategically? When might paper and pencil be a good or best choice? 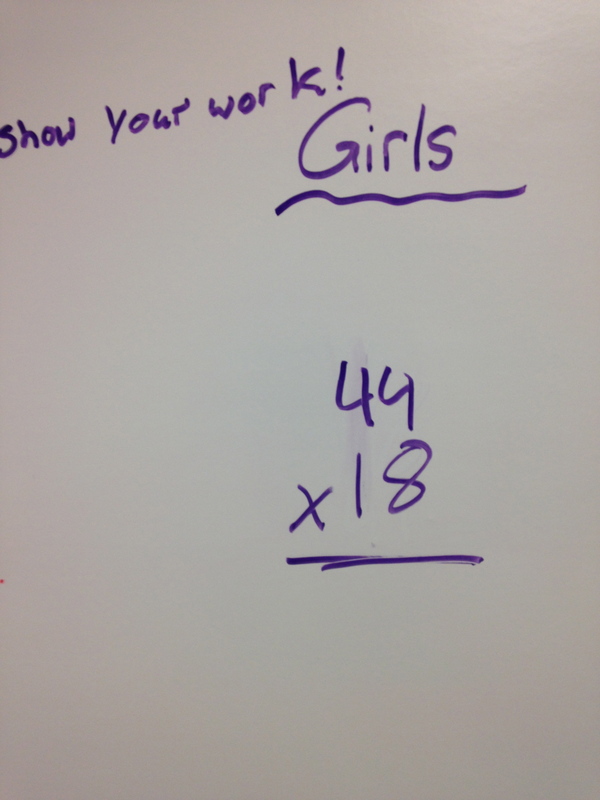 What if a learner used graphing as the tool? What might we learn from using a table? When is a computer algebra system (CAS) the go-to strategic choice? Then, what are the conditions which make the use of each one of these tools appropriate and strategic? “The American Heritage Dictionary Entry: Strategically.” American Heritage Dictionary Entry: Strategically. N.p., n.d. Web. 08 Sept. 2014. As a team of 150 learners charged with a responsibility of developing and maintaining a learning community for ourselves and the 640 children that we love and care for, how do we learn and grow when we are apart? We workshop, plan, play, rest, and read to name just a few of our actions and strategies. How do we model learner choice? We know student-learners need and deserve differentiated learning opportunities. Don’t all learners? There is so much to learn, practice, prototype, and consider. How do we learn and share? What if we divide, conquer, and share to learn? Summer reading for our community offers choices again this year. We offer three themes from which to choose. You may want to continue with the Art of Questioning, or you may want to explore Creativity or Social-Emotional as an interest. Each theme offers three choices, and if available, you may choose to read using a traditional book, a Kindle book, or an audio book. A quick note and thank you: Last year Laurel Martin asked me why the books weren’t hyperlinked to Amazon so that we could quickly read reviews. Great idea! (Hmm…I didn’t know how to hyperlink an image using Pages…but I do now. Thank you Laurel for pushing me to learn!) So, thanks to Laurel, if you want to read reviews, just click on a book in the flyer. We will use the 4As protocol to debrief during Pre-Planning. We are also going to schedule a Wednesday afternoon so that our community can hear and share the big ideas from every book. Please see the attached flyer for information and links to additional information and a form to request your book. Would you please select a book by Friday, April 25 so that we can have it for you before we leave in May?